Do you know the critical pedagogies? Today in France, the pole “social mix and transformation” is embodied by Freinet pedagogies. It is to this movement that we also associate in general the Brazilian pedagogue Paulo Freire. However, if there are “educational links, particularly values” between the two thinkers, there is no link between the two thinkers on the historical and geographical, as Sylvain Connac explains in an interview at the Café pédagogique. 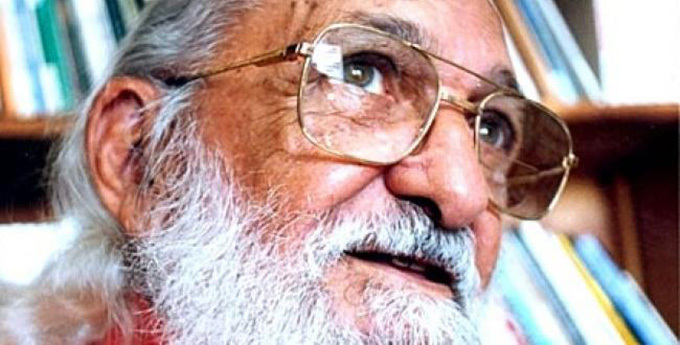 Although he is little known in France, Paulo Freire is nevertheless one of the most cited authors in the field of the humanities and social sciences, and his work, hated by the far-right Brazilian president Jair Bolsonaro , is studied in the most prestigious universities of the planet, especially Anglo-Saxon. This sentence makes it possible to understand what clearly differentiates the aim of Paulo Freire from that of alternative pedagogies. The latter does not aim above all to transform pedagogical methods, but to transform society through pedagogy. In particular, in the last years of his life, he was known for his criticism of technicist teaching in the service of the imperatives of the neoliberal economic market. Therefore, what Paulo Freire’s continuators have retained is, first and foremost, the purpose he assigns to education and pedagogy. Education aims to develop social awareness of social inequalities, discrimination or ecological dangers. This process is called “awareness”. Passed in the French language, this term comes originally from the work of Freire. But this notion has at its origin a very precise meaning: that of a process by which the oppressed become aware of their social situation of oppression to transform it. This is the meaning of the title of his most famous book: Pedagogy of the Oppressed , written in 1968. Translated into more than twenty languages, it is no longer available in French. But the pedagogy of Paulo Freire is not only characterized by its finality, even if it is a remarkable point of his pedagogy and which would be enough to be able to already identify it, so much the notion of “conscientization” is emblematic of this author. It puts forward ethical action before technical action. This is the meaning of his latest book published during his lifetime: Pedagogy of autonomy (Eres, 2013). It owes its celebrity to an adult literacy method it developed in the 1950s and subsequently tested in several countries around the world. Nevertheless, beyond this specific area, his work has found an echo in all fields of education, from kindergarten to university, through popular education. It is not a method and its techniques which characterize it, but a certain number of principles which characterize the pedagogical “ethical action” and the didactic “technical action”. The first consists in considering that no one is totally learned, or totally ignorant. This in particular leads teachers who take inspiration from the Freirian approach to take into account the social knowledge that learners possess about their own oppression. The second principle is to consider that the process of educational emancipation brings together different types of knowledge. This is one side of the knowledge drawn from the learners’ experience – social and cultural knowledge – and, on the other hand, the theoretical scientific knowledge of the teachers. The third principle is to refuse any educational process that leads to reification of the human being. Education does not consist of training an animal or programming a machine. Education is a process of promoting the emergence of the subject as a moral person. Finally, education is a process that aims at increasing the critical social consciousness in order to develop the capacity of subjects – whether socially oppressed or socially privileged – to engage in transforming society towards more social justice and environmental. But they also find applications in more traditional school subjects by focusing on the social uses of mathematics and science or the development of critical literacy. It is therefore very surprising that the French-speaking area has remained outside this international pedagogical movement.